Editor’s note: The topic of a Lyme vaccine has raised some controversy surrounding the federal Tick-Borne Disease Working Group, which meets this week in Washington DC. 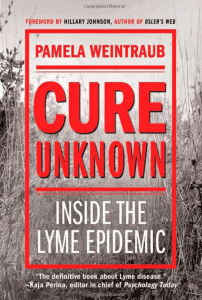 In order to shed light on the history of this contentious issue, we are publishing the following excerpt of CURE UNKNOWN: INSIDE THE LYME EPIDEMIC, by Pamela Weintraub. First, some background: In 1994, at a meeting in Dearborn, Michigan, a group of laboratory scientists changed the serological definition of Lyme disease in concert with the development of a Lyme vaccine. The new blood test would make it easier to secure FDA approval for the vaccine, called LYMErix, those at the helm of product development said. Instead of documenting an expansion and intensification of “bands” representing antibodies to the disease on a Western blot, as before, the new, more restrictive test, called for detection of 5 of 10 bands. This was one pattern of many, according to the manufacturer, that could indicate true infection. Among the other changes, the test would no longer consider, for purposes of diagnosis, the protein that formed the active ingredient in the vaccine –Outer Surface Protein (Osp) A. Without screening for OspA and its connected protein, OspB, a vaccinated person would test negative, clearing an easy path for FDA approval of the vaccine. However, this made it virtually impossible for many of the sickest patients to get diagnosed with Lyme, including those who would have tested positive under the previous standards. In this excerpt, Weintraub shows how these machinations impeded early diagnosis and access to care for 25 years, while never delivering a Lyme vaccine itself. In 1980, Congress passed the Bayh-Dole Act, giving universities and their faculty members permission to stake patent claims on discoveries they made through research funded by federal agencies such as the National Institutes of Health. Instead of leaving the ownership of intellectual property with government, the scientists now had a chance to be stakeholders and entrepreneurs themselves. The new law accelerated the rate of academic breakthroughs like gene splicing, gave rise to three-way partnerships between government, universities, and start-up firms, and spawned the modern biotech industry almost overnight. By the early 1990s, university scientists were scrambling to patent genes, proteins, and organisms, hoping to launch products and profit from the discoveries they made. In Lyme disease, the main product of interest was a vaccine aimed at restoring ease in the great outdoors. Toward that end, big pharma made millions of dollars in Lyme vaccine grant money available to scientists; when Lyme researchers applied for government funding, a vaccine was often in the crosshairs of their view. It logically followed that many of the top researchers would apply for vaccine-related patents and launch vaccine-related start-up companies while others would become big pharma consultants, garnering sizable grants for conducting vaccine studies at their university labs. As the years went on, it only made sense that the big decisions regarding Lyme disease—the paradigmatic issues like the literal disease definition and the exact serological pattern needed for diagnosis—would take the patents and future viability of the products into account. As in the rest of biomedicine, the scientists making those decisions were, by and large, stakeholders. Their partnership with industry was business as usual in the scientific culture of the day. In many other diseases, the interests of the patients and commercialization of the products had somehow managed to converge. There was a confluence of interest and one hand seemed to wash the other. Yet Lyme was a special case: Moving a product past the obstacles to FDA approval required great exactitude, while the equivocal status of many Lyme patients and the many strains of the Lyme organism could thwart that goal. To prove a vaccine effective, investigators had to be able to tell the difference between people who suffered infection and those who had reacted badly to the vaccine itself. The more flexible the definition of the disease—and thus, the more uncertainty associated with diagnosis—the more difficult this became. Lyme diagnosis often was uncertain—“shades of gray,” Leonard Sigal had said—yet writing that reality into the development of a new vaccine could derail its approval. On top of that, B. burgdorferi ’s talent for altering its outer coat made it a poor candidate for vaccination in any usual sense. Most modern vaccines work by a simple method. A surface protein from the germ is multiplied through molecular technology and injected into the body. Our immune cells generate antibodies against the protein. Should the actual microbe later attack, the preexisting antibodies would latch on to the surface and wipe the infection out. But the quick-change artist B. burgdorferi, which morphed continuously from tissue to tissue and over time, was far too nimble for such tricks. By the time the body made antibodies against any one protein, the spirochete would morph into something else. In fact, as scientists searched for vaccine candidates, only one B. burgdorferi protein appeared to protect mice against Lyme infection—outer surface protein (Osp) A. To Steve Barthold, then of Yale and an inventor of the OspA vaccine, this made perfect sense. It might be impossible to immunize a mammal against Lyme disease, but you could immunize a tick, where most spirochetes live in the midgut and don an unchanging coat made virtually exclusively of OspA. When a tick bit a mammal “vaccinated” with OspA, it would ingest a surge of blood laced with the OspA antibody. The antibody would rush to the tick’s midgut, killing most of the spirochetes on the spot before they could flow back and infect the human host. Because some strains of the spirochete lacked OspA, the vaccine wasn’t foolproof; because it took days for a total kill inside the tick itself, there was a small window of opportunity for infection to spread, reducing the efficacy overall. Even so, industry executives thought that the OspA vaccine was a clever invention, representing a creative solution to the confounding complexities of Lyme. It didn’t take long for two competing pharmaceutical giants—SmithKline Beecham and Pasteur Merieux Connaught—to launch two potential products. The Connaught effort, with the clinical trial headed by Leonard Sigal, was killed by the company in the wake of lawsuits over side effects. But the SmithKline vaccine, with Steere leading the study, promised to make it through the pipeline at FDA. It was in 1998 that Steere announced the success of his large-scale clinical trial for the vaccine called LYMErix in the New England Journal of Medicine. There was just one fly in the ointment, and it was a whopper: Steere was elsewhere proposing that OspA, the active ingredient of his vaccine, was the specific trigger for chronic Lyme. Steere’s chronic Lyme theory was based on the same molecular mimicry concept suggested by Klempner. In an act of scientific integrity, Steere even published evidence for the controversial theory in the prestigious journal Science the week after the release of the vaccine results— much to the ire of the manufacturer, by then called GlaxoSmithKline. Steere and Tufts immunologist Brigitte T. Huber had found a striking resemblance between a portion of the OspA molecule and the human protein LFA-1. Antibodies against OspA, Steere theorized, might mistakenly attack LFA-1 in human cells—and would continue attacking even after the infection was gone. Steere had traced the suspect human protein to the common arthritis-linked gene, HLA-DR4, which was found in a third of the population, making risk of the reaction high. The theory provoked skepticism. Barthold, Weis, and Philipp, researchers with intimate knowledge of infection and immunity, describe some cross-reactivity with almost every microbe. Just because one molecule resembles another doesn’t mean it fuels disease. Not even Steere, who felt he’d done his due diligence in alerting the world to the theory, could prove it was correct. Could the OspA vaccine drive a few unlucky recipients to autoimmune disease? Steere hadn’t seen it in the vaccine trial, but found it “an issue of concern. If OspA vaccination induces joint symptoms, it must be a rare phenomenon,” Steere said. But when a contingent of LYMErix vaccinees popped up to say they’d been damaged by Glaxo’s vaccine through the mechanism of Steere’s theory, the stage was set for a debacle worthy of Lyme. Yet by January 2001, amidst a hailstorm of LYMErix lawsuits, the FDA had reconvened on LYMErix at the Bethesda Holiday Inn. Among the presenters were a small army of vaccinees who said they’d been badly hurt. Jenny Marra, a New Jersey hospice nurse positive for HLA-DR4, had been living with severe joint and muscle pain since vaccination in 1999. Glaxo, she complained, did not include a warning about the potential risk. “Had I known this I personally would not have taken the vaccine,” she said. Karen Burke, the mother of two toddlers from the Pocono Mountains of Pennsylvania, said that her husband, the vigorous owner of a construction business, got his second dose of LYMErix in July of 1999. By October, he couldn’t roll over in bed. “My standing joke with him is, honey, at least when our kids are big enough to go to Disney World you’ll be well enough to sit in a wheelchair, and we’ll get to the front of the line. It’s not funny, but you have to have some fun in your life,” Burke said. Stony Brook’s Ben Luft, a panel member, described the “twilight zone” of the “disconnect” between patient testimony and Glaxo’s denial of the adverse events. Even Steere’s scientific collaborator, Brigitte Huber, entered the fray after Karen Forschner of the Lyme Disease Foundation discovered that Huber had filed a World Trade Patent for a second OspA vaccine based on research funded by the NIH. The Huber patent, based on elaborate animal experiments, offered a genetically modified OspA molecule said to cause less of an autoimmune reaction than the OspA used to make LYMErix. Huber had literally assigned “binding scores” to the two OspA molecules, citing evidence that scores above a certain cutoff caused autoimmune disease. LYMErix tested above the cutoff, but the new molecule fell below. The patent “details the autoimmune mechanism as reality, not theory,” Forschner said. Despite all this, FDA officials ultimately kept LYMErix on the market in what it called “data-gathering mode,” aimed at determining whether it caused irreversible autoimmune disease or other adverse events. The warning labels and package inserts reflected no special danger and remained unchanged. With the vaccine still available at any suburban doc-in-the-box, the numbers of the vaccinated naturally soared. As more people were vaccinated, problems that were rare or avoidable in a screened population increasingly began to emerge. Not only were reports of more “autoimmune” cases coming out of the woodwork, but there was another problem as well: The vaccine appeared to awaken old, presumably “cured” cases of Lyme disease, Boston University’s Sam Donta said. After he treated these patients with antibiotics, most got well—just as he would expect in bona fide cases of the disease. But the confusion didn’t stop there. As LYMErix recipients got tested for Lyme disease in the course of their ordinary lives, laboratorians around the country found their Western blots on fire, with almost every band lit. Discounting the OspA band on the Western blot had proved an insufficient precaution; even with that step taken, virtually all vacinees tested positive for Lyme disease, whether they had the infection or not. Paul Fawcett, director of the immunology laboratories at the Alfred I. duPont Hospital for Children in Wilmington, Delaware, and a noted expert on Lyme disease serology, observed the ability of the OspA vaccine to provoke a wide range of Borrelia-specific bands on Western blots well before the product reached market, as patients involved in clinical trials appeared for routine Lyme disease tests. Fascinated by the phenomenon, he coordinated a study of twenty adult volunteers, all employees of the hospital, who received three vaccine doses each and submitted blood for analysis. As it turned out, the elaborate banding patterns showed up in all but one subject in Fawcett’s experimental group. In fact, the banding was so robust that thirty days after the second dose of vaccine, the only two commercial Western blots then approved by the FDA were “rendered virtually useless for diagnostic purposes,” Fawcett says. “Many people were so reactive that they often showed fifteen to twenty bands,” far more than the minimum requirement of five. What’s more, Fawcett found that the odd patterns were sometimes accompanied by adverse events. Two of the twenty patients in his study developed severe arthritic pain, and the strange symptom—not generally seen in Lyme disease itself—of swelling hands, despite the fact that they had no exposure whatsoever to the spirochete. What could be going on? Describing himself as a “fan of data,” Fawcett reviewed his findings and concluded that the only explanation was a “hyperactivation” of the immune system after exposure to the vaccine. It was this activation, he felt, that accounted for adverse events. The bizarre banding pattern was recorded as well by Philip J. Molloy, medical director of Imugen, the Massachusetts diagnostic laboratory identified by many in the mainstream as the sine qua non for diagnosing vector-borne disease, and David Persing, chief medical officer of Cepheid and one of the most respected microbiologists on the Lyme scene at the time. Molloy suggested that the phenomenon was the result of instability of OspA—its degradation into smaller fragments and buildup into larger particles, resulting in Western blot tests with a diversity of bands that seemed to confirm the disease but actually meant nothing at all. One interesting implication of the finding, he theorized, was that even for those not vaccinated the banding pattern chosen at Dearborn represented nothing more than “an immune response to OspA, which is being ‘counted’ several times, while other bands presumed to be present are not really there at all.” That would make the Western blot pattern chosen at Dearborn “irrelevant” for garden variety diagnosis, says Molloy. As for GlaxoSmithKline, it never denied the existence of the dirty blots. “We would need more time for our scientists to study the papers and reports in depth,” Glaxo communications director Carmel Hogan said at the time. Whatever the explanation turns out to be, one wonders how researchers ever managed to differentiate between vaccine adverse reactions and Lyme disease itself. With such mixed-up results, how could they prove that the vaccine worked or that it was a vaccine at all? Researchers had tried their best to come up with a circumscribed serological definition for Lyme disease during the vaccine trials, but the utter messiness of Lyme, including all that was still unknown, may have tripped them up. Hearing all the problems, patients couldn’t help but wonder whether conflicts of interest, including potential for profit, had played a role in so much sloppiness and such a frenzied rush to market on their behalf. Thinking back over the years, they asked themselves whether the increasingly restrictive disease definition had been motivated by the vaccine. The thing that bothered Lyme patients most was the removal of the OspA and OspB markers from the diagnostic pattern chosen for the Western blot in Dearborn, Michigan, in 1994, just as the vaccine trials were getting under way. Why had the markers, so specific for Lyme they were vaccine candidates, really been purged from the Western blot? Was it to make sure vaccines wouldn’t test positive on Lyme tests? Was it a misguided effort to avoid all the confusion that the OspA molecule was causing now? The Dearborn panel voting on the Western blot pattern had particular potential for bias. Indeed, the nine voting consultants hired by the CDC included a scientist holding the patent for OspA; the inventor of the canine Lyme vaccine, Lymevac; and Allen Steere, who was both an author of the study used to generate the hotly contested Dearborn standard as well as the lead investigator for clinical trials of the vaccine. It wasn’t widely known, but the FDA had accepted Steere’s so-called Dearborn criteria as the serological standard for the LYMErix trials months before the vote in Michigan ever took place. The circumscribed view of the disease was extended, as well, to the influential Clinical Treatment Guidelines published by the Infectious Diseases Society of America (IDSA) in 2000. As the mainstream standard of care, the guidelines were embraced by insurers to restrict antibiotic treatment for Lyme patients across the board. It’s notable that eleven of the twelve IDSA panel members had economic interests related to the Lyme vaccines under development since 1993. These eleven scientists received Lyme vaccine research grants, had the potential to profit from patents and development of associated diagnostic kits, or participated in clinical trials. At least four members of the 2000 panel ran Lyme vaccine trials for manufacturers in aggregate involving some 14,000 patients, all for a fee. Of course the money would not line the pockets of the researchers directly, but it would add to the importance and viability of their labs. Beyond individuals, many institutions had a financial interest in the success of LYMErix. U.S. government agencies, including the CDC, the National Institutes of Health, and the Department of Defense owned partial rights to revenue from more than a third of the fifty-six U.S. patents identified as especially significant for Lyme disease vaccines and tests. Companies with Lyme vaccine claims included the multinational life science giants Aventis and AstraZeneca as well as Abbott Laboratories, American Home Products, and Schering-Plough, to name a few. Yale, which held rights to the OspA patent, would have seen a windfall had the vaccine been a hit. The web of vested interest was intricate and vast. In fact, you could see Lyme (like any other disease) through the lens of the business plans it generated. Reading through business proposals on file at the NIH, it’s clear that OspA was supposed to be just a first step, one of many vaccines and test kits produced in lockstep, in an incremental plan. The next potential vaccine candidate was OspB, also removed as a diagnostic marker in the Dearborn vote. Projected revenues for the products add up to hundreds of millions of dollars annually in the United States and Europe, and there’s no question but that the derailment of the OspA vaccine, LYMErix, would throw everything off track. Why purge both OspA and OspB from the Western blot at Dearborn? One possible influence could be the vaccine: “There was the feeling that OspA would lose its diagnostic value with widespread use of LYMErix,” points out Phillip J. Baker, executive director of the American Lyme Disease Foundation and former director of the Lyme program at NIH. If OspA was taken out, OspB, which resides on the same strip of DNA as OspA, would have to go, too. Why limit the disease definition and dismiss chronic Lyme? One influence could be the vaccine. Vaccine development required a clinically testable disease definition to pass clinical trials and garner FDA approval. The manufacturer had to find a population free of Lyme disease, vaccinate it, and then prove the vaccine had worked by retesting the population. With an endemic population that might harbor lingering or under-the-radar infection even after treatment, without a restrictive case definition that ignored Lyme’s “shades of gray,” that would be impossible. The point was made clearly by Raymond Dattwyler, the immunologist from Stony Brook, at an FDA meeting on the vaccine in Silver Spring, Maryland, in June 1994—just months before the circumscribed serological standard removing OspA was pushed through in Dearborn. In short, Lyme’s inconvenient complexity—its annoying fuzziness— had to be replaced by a mythical simplicity for the products to fly. With the dirty Western blots apparently unnoticed (or swept under the rug), and with the circumscribed disease definition in place, it became possible to “validate” LYMErix and get approval from the FDA. To what extent did vaccine development really influence the various players? Was there a concerted conspiracy here? Deliberate collusion or fraud? I’ve never found any proof. Instead, money set the course. The factors that helped the various products and projects stay aloft included the restrictive Dearborn criteria (with the removal of OspA) and denial of any Lyme disease outside the definition imposed. In the face of so many suspicions and all the uproar, LDA president Pat Smith asked her congressman, Chris Smith, to arrange a special meeting with the FDA in 2002. The day she arrived at headquarters, a dozen FDA top brass sat around a wood table the length of a large conference room, notepads in hand, awaiting their meeting with the powerful Congressman Smith. “Where’s Congressman Smith?” they asked Pat Smith when she arrived with her team. “Oh, he had to cancel,” Pat Smith explained, but she’d brought someone else: the ultimate vaccine whistle-blower, Donald H. Marks, M.D., Ph.D., former lab director for Pasteur Merieux Connaught. In the early days of the OspA vaccine, Connaught’s product, ImuLyme, had been racing neck and neck with LYMErix to reach the market first. Accusations of adverse reactions early in its history brought a rain of lawsuits, and Connaught pulled the plug. Yet the two vaccines had been nearly identical, and it was fair to say that Marks knew more about OspA’s capabilities than almost anyone in the world. Presenting his case to FDA officials, Marks said that all the issues in LYMErix had been noted in ImuLyme, too: the occasional autoimmune reaction, indicating Steere could be on to something; the relapse into old disease; and the hyperactivation of the immune system, including swollen hands and the dirty Western blots with every band lit. “The dirty banding makes it impossible for physicians to differentiate between LYMErix vaccination, new infection with Borrelia burgdorferi, or reactivation of infection,” Marks told the FDA officers. 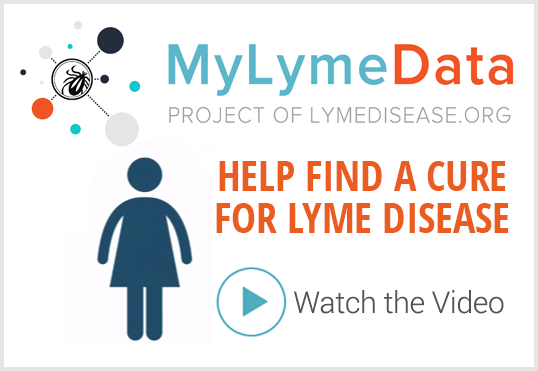 “The net result is that cases of Lyme disease will go undiagnosed and untreated. 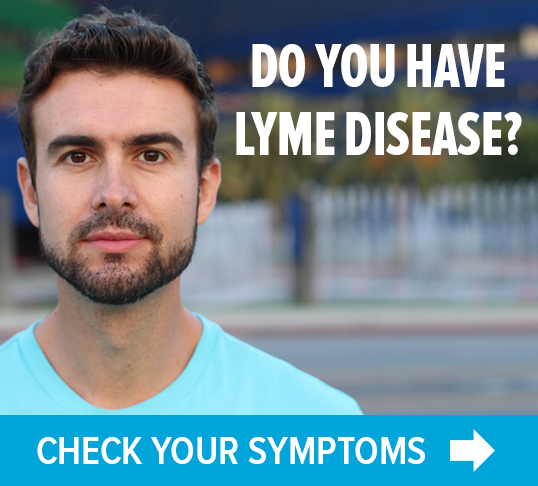 Adverse reactions to LYMErix will be misdiagnosed as Lyme disease and people will be unnecessarily treated with antibiotics.” Physicians unaware of the potential problems could not appropriately treat the patients who were sick. Marks reviewed twenty-two cases in which “the adverse event was not anecdotal but a medical certainty.” Of four neurological adverse events, all were caused by LYMErix (as opposed to Lyme disease), with presentations from peripheral nervous system disease to memory loss to an immune-related complex of joint pain and fatigue. Rheumatologic reactions included joint pain and arthritis itself. “You’ll never find statistical significance for the worst adverse events,” he told the FDA, “because they are so rare.” In these instances, you must weigh the risk of the disease against the risk, even if extremely low, that an individual could be damaged by the vaccine. Perhaps it was worth taking such risk for smallpox, but Lyme disease? As for the vaccinees suing Glaxo, their class-action suit was settled in July 2003. The settlement was so small—about $1 million—that there was only enough to compensate the lawyers. The patients would not get a dime. “The case was never about lining plaintiffs’ pockets with millions of dollars, it was about public safety,” said Stephen A. Sheller, the attorney who brought the suit. In fact, as part of the settlement, Glaxo agreed to add better warnings should LYMErix ever be reintroduced in the United States. Following the exit of ImuLyme and then LYMErix from the U.S. landscape, other vaccines that have been waiting in the wings may eventually appear. At Baxter Healthcare Corporation, a pharmaceutical company in Deerfield, Illinois, an effort is under way to create a modified OspA based vaccine. The new vaccine is being produced with the help of a machine called the National Synchrotron Light Source at the Brookhaven National Laboratory on Long Island. The Synchrotron bombards actual OspA with X-rays, leading to a three-dimensional computer model of the protein. The computer model is then used to synthesize a new molecule, never before seen in nature, that can immunize against the disease without inducing the autoimmunity or the hyperinflammation attributed to natural OspA. John Dunn of Brookhaven has also patented genetically engineered proteins that combine pieces of OspA and OspC, each present on the surface of the spirochete at different points, promising a vaccine with a one-two punch. Another possibility comes from Eugene Davidson, the Georgetown molecular biologist. Working with Alan Frey, a cell biologist at New York University, Davidson used ultrasound to break up Lyme spirochetes. The result was a mixture of every protein found in a range of Borrelia burgdorferi strains, encapsulated in tiny vesicles one thousandth the size of a living bacterium. The vesicles, sterilized by Davidson and completely noninfectious, nonetheless contained every spirochetal protein that might play a role in disease. When tiny doses of Davidson’s vaccine were injected into mice and, later, rhesus monkeys, the result was complete immunity against disease. And Stephen K. Wikel, an entomologist at the University of Texas, is working on a vaccine made from tick saliva. A vaccine that deters the Ixodes tick itself could be far more useful than a mere Lyme vaccine, since ticks carry several diseases, not just the one. Indeed, while developing vaccines that target each possible tick-borne disease would be daunting, targeting all those infections through their vector—the tick—is within reach. Wikel’s goal: developing a vaccine that specifically targets the molecules responsible for helping the tick feed and transmit disease. At least the effort goes on. No matter what vaccine ultimately emerges, if it can actually prevent Lyme disease without risk, it isn’t likely that patients will protest conflicts of interest or profit for the scientists behind its success. Excerpted from “Cure Unknown: Inside the Lyme Epidemic” by Pamela Weintraub. Published by St. Martin’s Press. Copyright © 2013 by Pamela Weintraub. All rights reserved. You can follow Pamela Weintraub on Twitter @pam3001. TOUCHED BY LYME: “Powerful” patients axed Lyme vaccine? Baloney!